InterActiveCorp, or IAC (ticker: IACI), has been an outperformer during this bull market but a sharp drop in October and early November took it below a previous low for the first time since basing in 2009. I scanned for sectors and ETFs for which, when shown as a pair against IACI, met the criteria for the moving average crossover method. Dow Jones Food Index vs. IACI. Kubota (KUB) v Nippon Telegraph (NTT): Now shows an 8.0% gain after entry two weeks ago! 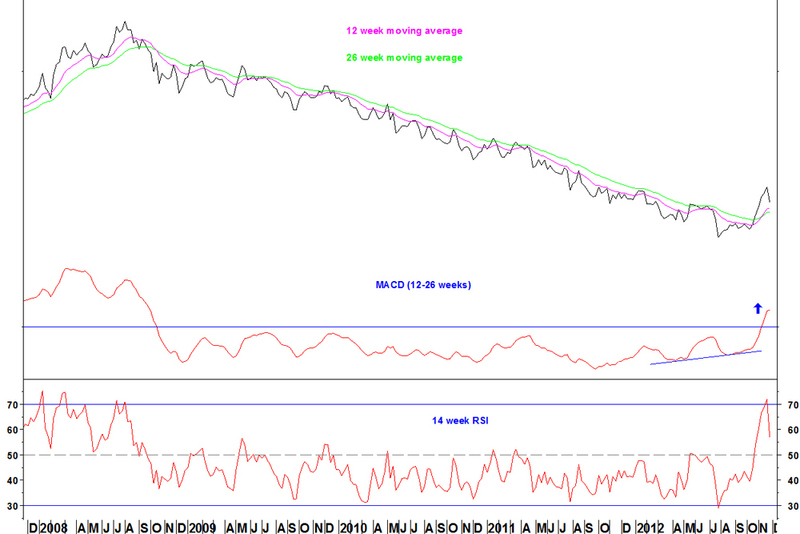 « Are gold stocks oversold on breadth?